I woke up this morning and looked out the window. An orange glow streamed through the colourful, patterned curtains. The trees outside were tinged with the fiery yellow of the breaking dawn. I could hardly believe it. I was waking up in Africa. 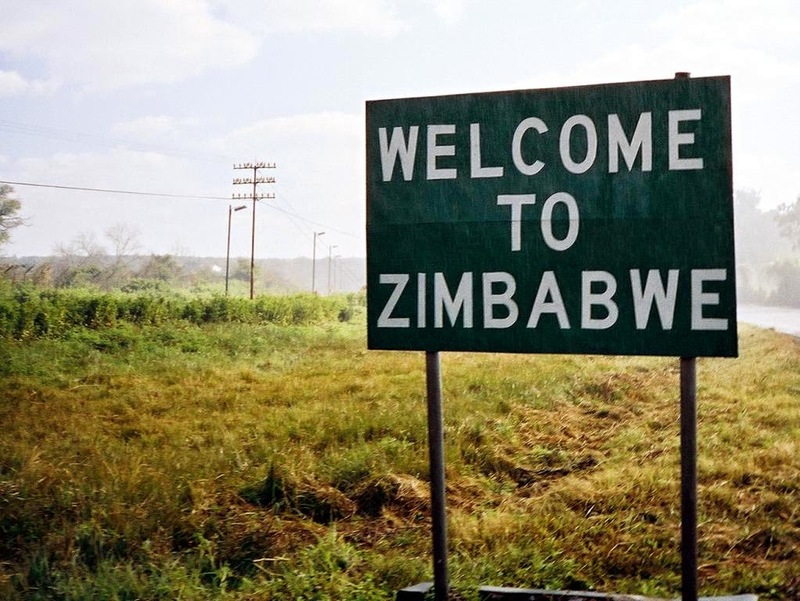 I am now in Zimbabwe. I think it will take a few days for this surreal realization to fade away. Or perhaps it never will. I am living at the ACTS missions team house in the north of Harare with a few other missions volunteers from Melbourne and Perth. It is amazing when I think about how God connected me once again with such like-minded individuals to share the first two weeks of my time in Zimbabwe. One of them is Lucinda De Vos, a 21 year old chicka whom I had never met in my life, but who turned out to share the exact same passions in music, teaching music, working with children with special needs, and music therapy! And of course most recently, coming to Africa. Honestly, if we truly just lived in a purposeless, accidental world, what are the chances I meet someone like that on the exact trip I am planning with all this in my mind’s eye and heart’s vision for the future!? It is unbelievable and yet something I somehow expected – because I had specifically asked God for it! I wanted to embark on my Africa trip knowing people who shared the same vision and convictions in life – it sure does make the journey a lot more fun and exciting. Today was my first Sunday in Zim. I had the privilege of joining a pioneering ministry called ONE Church in a suburb called Avondale. It was such a great thing to join a bunch of believers – a mix of missionaries, local white and black Zimbabweans, and visiting volunteers like myself – for a Sunday morning of praise and worship, and hearing God’s word. What always amazes me when I go someplace different and yet find myself among fellow Christians and believers, is the simple fact and feeling that these people – no matter how different they are from me – have also encountered the love and truth and hope of Jesus Christ where they’re at. I count it such a blessing to be able to hang out with these perfect strangers and yet know deep down that they aren’t strangers at all – because we are fellow sojourners on this life journey. By the grace of God, founded on the solid rock of faith in Jesus, we’re headed in the same direction and pursuing the same things in the kingdom of God. One thing I keep writing about is the simple thing that every where I go, I intentionally ask God to lead me to the right people, and for Him to draw the right people to me. People who share the same heart and vision for serving God and living out their faith and love for Jesus by serving others wherever they may be. You could be in a wealthy country, or an impoverished slum, but you can still serve and bless others with what you have – you. After church, I struck up a conversation briefly with a young chap named David who soon revealed that he was from England, and that he moved to Zim after university to work with Christian Aid and coordinate the advocacy program for Gender Equality here. We didn’t talk for long, but before I had to rush off, I just told him with all sincerity, ‘I’d love to hear more about your work here and what you do. Hope to meet again sometime!’ Then I had to say goodbye. But just before we went off, he ran up to me and invited me to catch up again next week with a few other young people at the church for lunch at a sushi bar or something. We exchanged contact and that was that. I believe we’ll meet again! I think it’s especially awesome when you cross paths briefly with those whom you’d never meet anywhere else, but if there’s that flicker of like-mindedness, it just draws people together no matter how short a time they have. I feel like I have been learning so much the last three years in all my travelling, volunteering and serving with different communities, that if you keep an open heart and an inquisitive mind, you will always meet other inspiring folk who can impact your life and teach you something new no matter how small it may be. And it makes me smile to think of it – that God would love us so much to bring the right strangers, friends, family, or even foes along our path every step of the way to shape us and grow us to be more like Him along this life-long odyssey. As if not enough things have already been happening the last ONE AND A HALF DAYS I’ve been in Zimbabwe, after church, we were invited to attend our first Zimbabwean wedding! The groom – Douglas – is one of the leaders working with ONE Church and he is going to start a ministry in an impoverished township called Hatcliffe. I will actually have the opportunity in the next few days to help out in the street kids ministry and orphanage projects there, so I will get to know Dougie and his wife. Anyhow, we were soon on our way to the venue as we trundled along in our run-down but immeasurably useful combi-van to the outskirts of Harare at a place called Westgate, where the ceremony and party was to be held. All along the way, you would see people milling about along the red-orange dusty road sides, selling maize, veggies, drinks, newspapers and the like. I figure people walk a lot here, any time of the day, even when it is pitch black at night (as most of the street lights are either non-existent or do not work). Now I’m sitting in my room, in its lovely simplicity, journaling all this. I have some Hillsong worship music playing on my phone. And right now, I’m thinking, I’m gonna get off this and I need to sing some songs. I just feel so full – I’m bursting with the desire to thank God and sing out my gratitude for all He’s doing, not only in my life, but in every person I am meeting here and in every person I have met in Australia who has been part of my journey and instrumental in preparing me for this pivotal season of my life. I trust God for tomorrow. It is in His mighty hands. The world will worry and fret and envy, but I want to be free. I am free in Jesus because of His love for me – it is the first and only thing that has brought me to this place of trust and freedom. Nothing else in this world satisfied me – nothing. Why do I write all this? Because I believe it, and I see this truth changing lives all around me who are also daring to take the leap of faith and reason. Through it all, God is enough for me.